Hello friends! 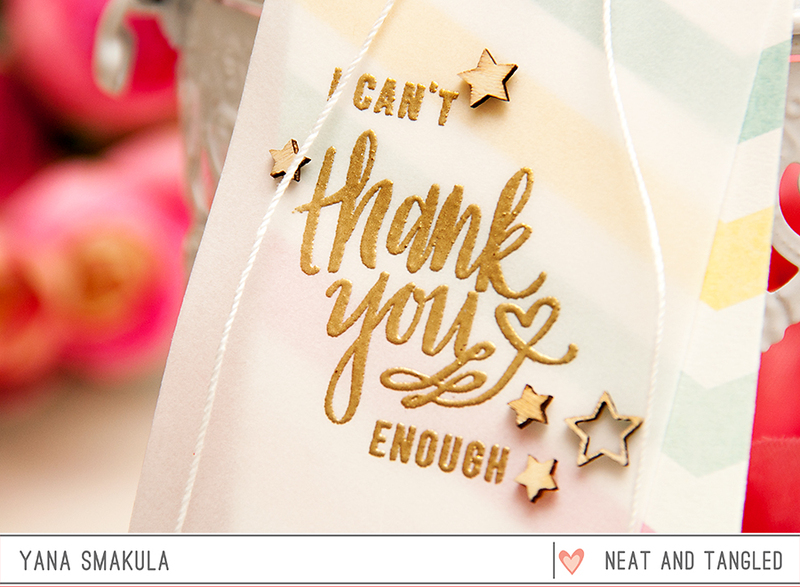 Today I have a simple project – a double layer Thank You Tag. 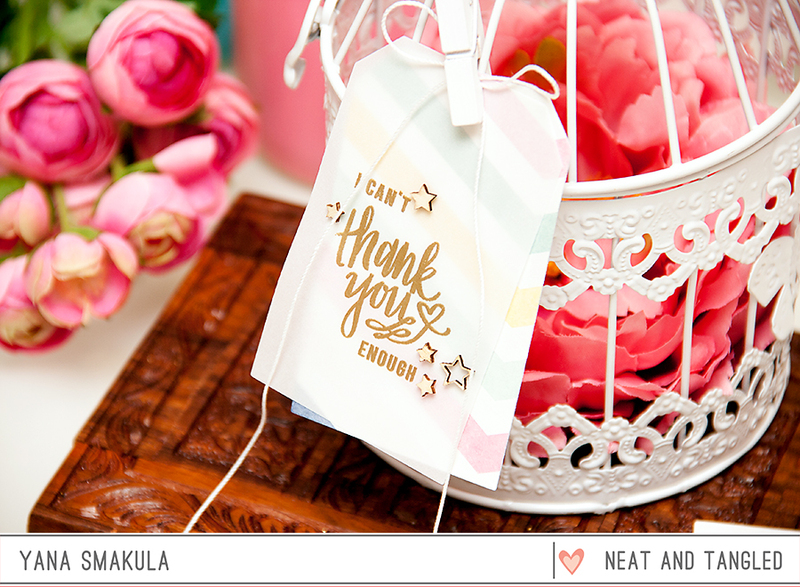 I was very much inspired by the sentiment from the All My Heart stamp set from Neat & Tangled and I couldn’t resist using it to create a quick tag. I die cut two tags, one out of vellum and one out of patterned paper; next I heat embossed a sentiment onto vellum using gold embossing powder and added a few wooden stars. 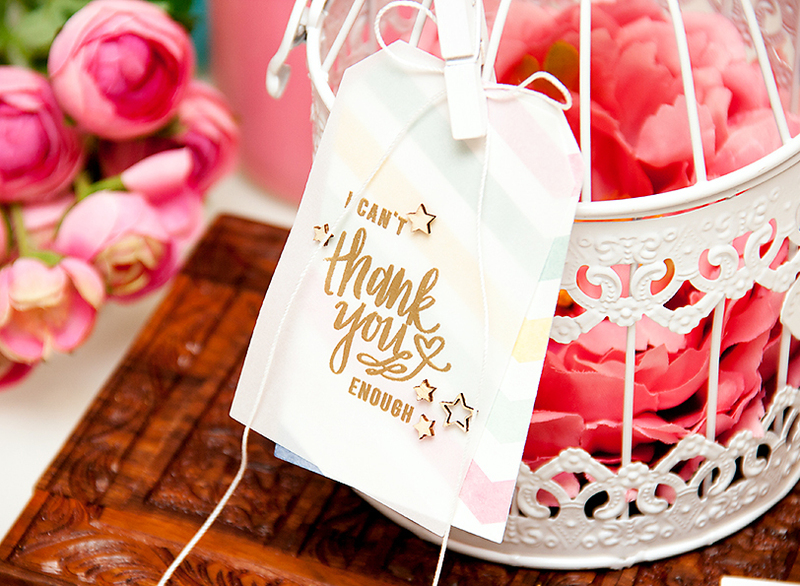 Here are a few close ups – I just love this layered look of vellum of patterned paper, it never fails. Oh my gosh your projects are both cute. Love the gold embossed tag. 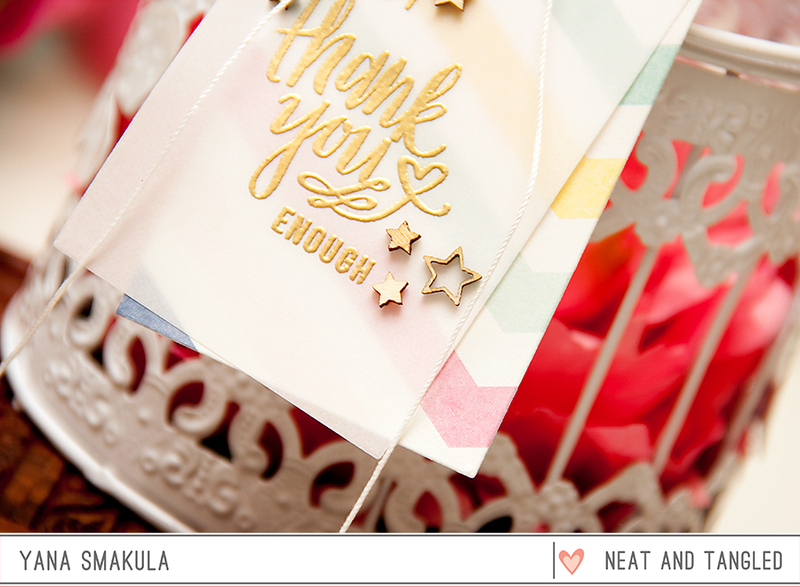 Love who you used the birthday die, so sweet and the tag with the vellum/gold is gorgeous! so sweet!golden script looks great!